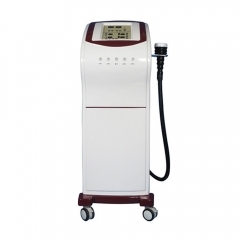 Principle of Technology: ultrasonic, radio frequency, micro electricity and negative pressure. This postpartum omnipotent recovery instrument adopts ultrasonic compact technology and radio frequency pregnancy pattern repair technology. It can detoxify, shape body, beauty body, enhance breast and improve buttocks. 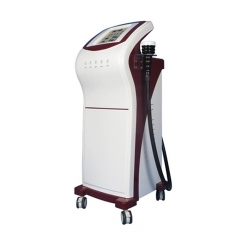 Weight loss, body shaping, body beauty, breast enhancement, lift hip, wrinkle, beauty, freckle, thin face, physiotherapy, detox, ovarian maintenance, regulation of endocrine and so on, quickly decompose fat and prevent fat formation. At the same time, it has some improvement on dysmenorrhea, breast lump, insomnia and restlessness caused by endocrine disorders. Non operative, non invasive, non bleeding, noninvasive and painless treatment time is short and effective. 1. Lose weight all over the body (quickly eliminate fat, waist, abdomen, buttock leg shaping). 2. Tighten the skin, repair stretch marks, improve the skin's metabolism, and resist aging all over the body. 3. Increase the speed of body metabolism, accelerate the discharge of waste and moisture in the body. 4. Relax muscles, relieve muscle spasms, relieve muscle pain and other symptoms. The unique energy conversion and repair technology of this postpartum omnipotent recovery instrument can achieve health care, tighten up, detoxify and lose weight at the same time, and complete four functions at one time. 3. Local dressing, eliminating fat. 4. 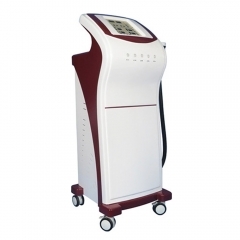 Body health and beauty: the combination of Chinese medicine and modern technology enables you to mediate body Qi and blood while relaxing health care. 5. Non-toxic and no side effects --- health and scientific health care methods make you vigorous and energetic. 6. Adjuvant therapy for obesity related diseases, acne, chloasma, gynecological diseases and arthritis, lumbar muscle strain and other diseases have a very good curative effect. Adjust endocrine, prostate maintenance, pelvic floor rehabilitation, endocrine balance, regulate constipation, desalt postpartum stretch marks. Uterine recovery, ovarian maintenance, kidney maintenance, postpartum breast nursing, chest physiotherapy, postpartum detoxification, viscera conditioning, lumbar conditioning, cervical relief, gastrointestinal motility double modulation, breast hyperplasia repair, postpartum ache, limb fear cold, postpartum whole body meridian Shu Tong health care and so on. Body skin tightening, body fat reduction, local fat reduction, facial lifting, abdominal skin tightening, waist tightened, lean leg hips, upper limb weight loss, breast enhancement, breast, body sculpture, etc.